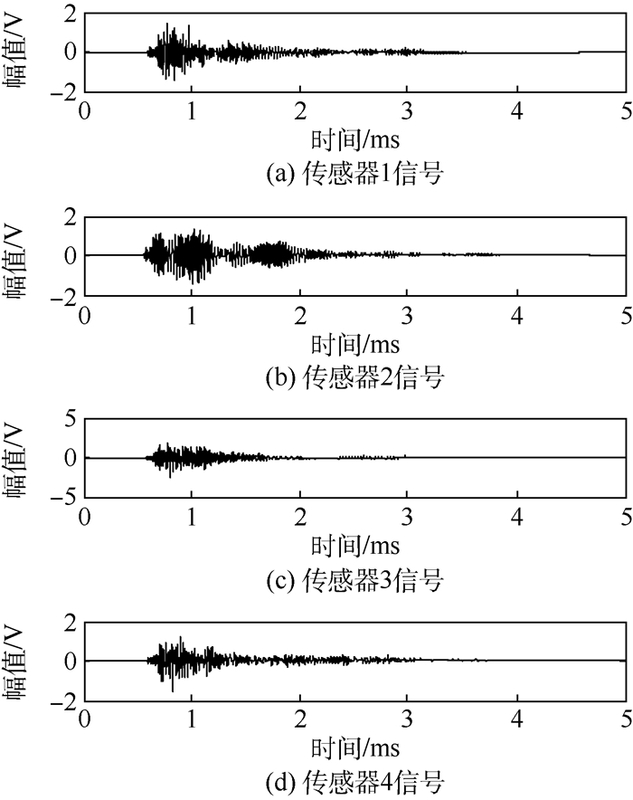 YUAN M, SHANG F K, DONG S P. Acoustic emission source location for composite plate based on empirical wavelet transform[J]. 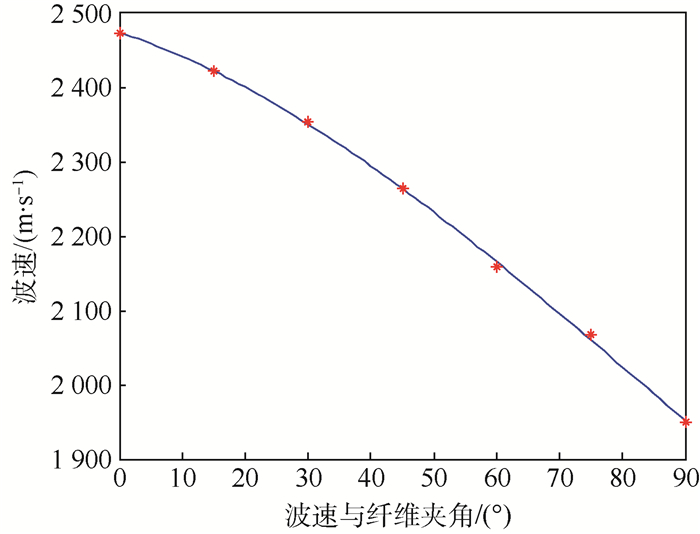 Journal of Beijing University of Aeronautics and Astronsutics, 2018, 44(7): 1395-1401. Abstract: Acoustic emission (AE) technique is a non-destructive damage test method. It can be used to monitor the dynamic defects of composite structures in aircraft. The complex components of AE signal and the anisotropy of composite materials lead to the low positioning accuracy of the source. 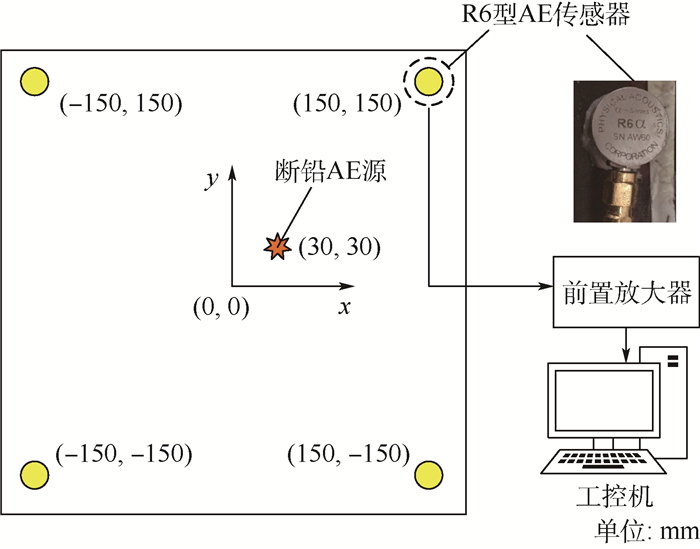 A method of time difference of arrival (TDOA) based on empirical wavelet transform (EWT) and generalized cross-correlation (GCC) is proposed to improve the location accuracy of AE source. EWT is used to adaptively decompose and reconstruct the AE signals observed by sensors. The dominant frequency modes are obtained and the correlation coefficients between signals in each channel are effectively increased. 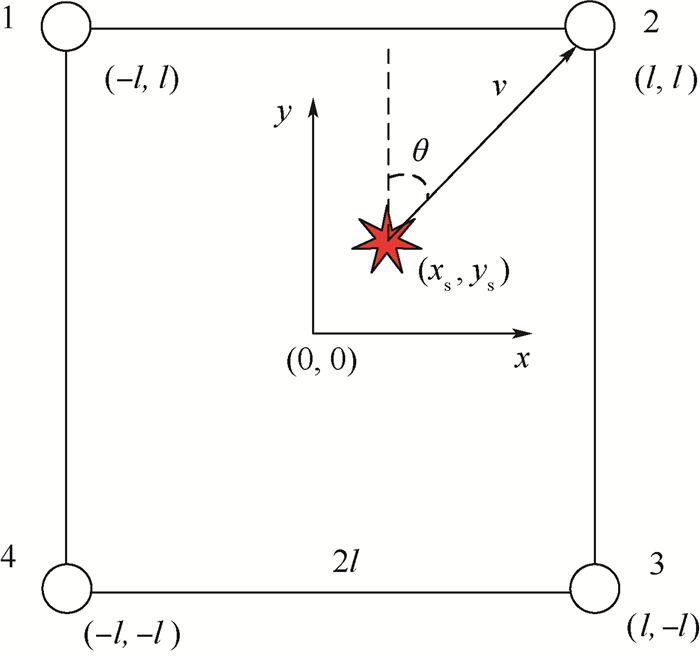 The wave velocity is polynomial fitted by the multidirectional wave velocity measurement experiment. Then the AE source is located by using GCC method to estimate the time difference of each channel. Experiments are conducted on a T800 carbon fiber composite plate with the signal of lead break as simulating source. The experimental results show the accuracy and practicability of the proposed algorithm. 袁梅, 鲍鹏宇, 付重, 等. 飞机结构健康监测技术及传感器网络[J]. 航空制造技术, 2008, 22	(13): 44–48. GUKIN R, GREEN C J, VANGRATTANACHAI S, et al. On acoustic emission for failure investigation in CFRP:Pattern recognition and peak frequency analyses[J]. Mechanical Systems & Signal Processing, 2011, 25	(4): 1393–1407. DIRK A, ALEX C, STEVE W, et al. Acoustic emission source location on large plate-like structures using a local triangular sensor array[J]. Mechanical Systems and Signal Processing, 2012, 30	(7): 91–102. 金中薇, 姜明顺, 隋青美, 等. 基于广义互相关时延估计算法的声发射定位技术[J]. 传感技术学报, 2013, 26	(11): 1513–1518. 袁梅, 牛奔, 董韶鹏, 等. 伪多源采样复域FastICA冲击定位算法[J]. 北京航空航天大学学报, 2016, 42	(2): 243–250. 焦敬品, 何存富, 吴斌, 等. 基于模态分析和小波变换的声发射源定位新算法研究[J]. 仪器仪表学报, 2005, 26	(5): 482–485. 马波, 陈健飞, 李标, 等. 玻璃纤维复合材料板声发射信号传播特性[J]. 无损检测, 2017, 39	(1): 16–18. 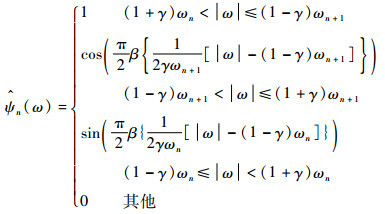 HUANG N, SHEN Z, LONG S R, et al. 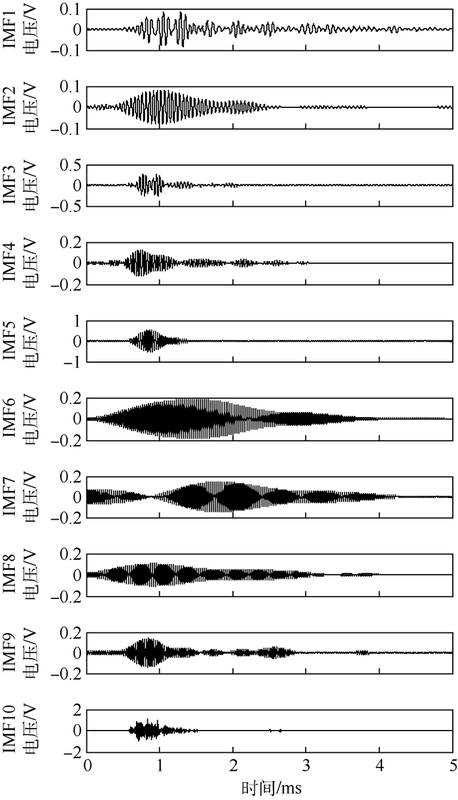 The empirical mode decomposition and the hilbert spectrum for nonlinear and non-stationary time series analysis[J]. Proceedings Mathematical Physical & Engineering Sciences, 1998, 454	(1971): 903–995. 李志农, 朱明, 褚福磊, 等. 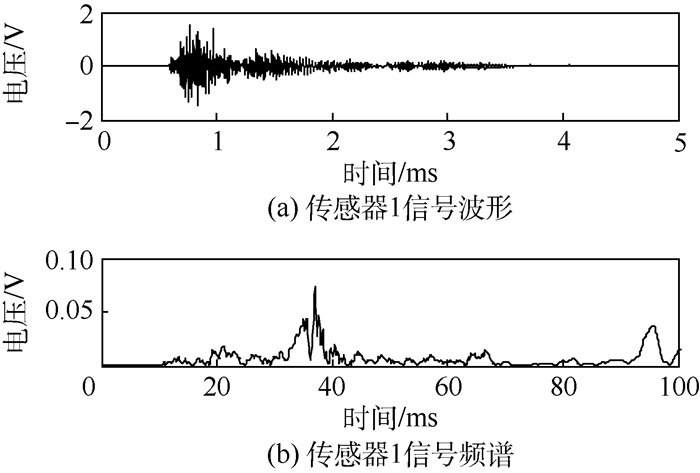 基于经验小波变换的机械故障诊断方法研究[J]. 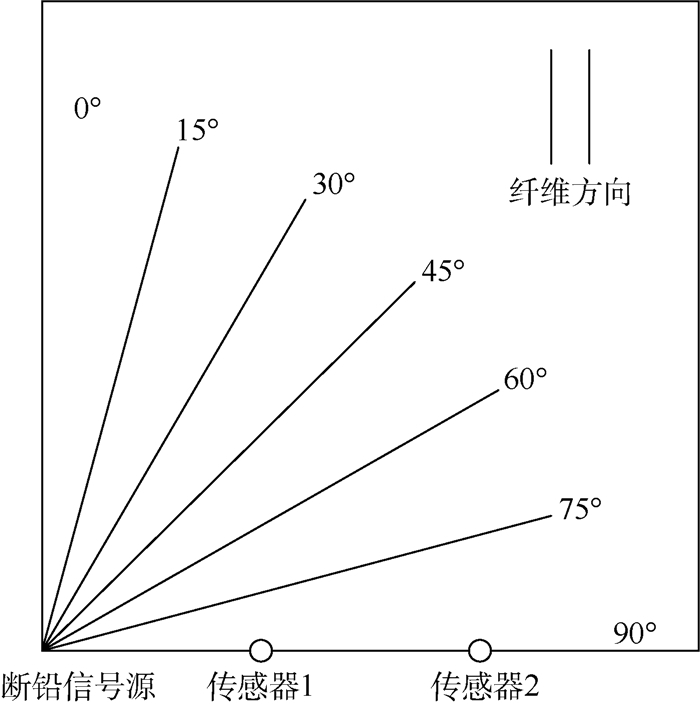 仪器仪表学报, 2014, 35	(11): 2423–2432. JIANG Y, ZHU H, LI Z. 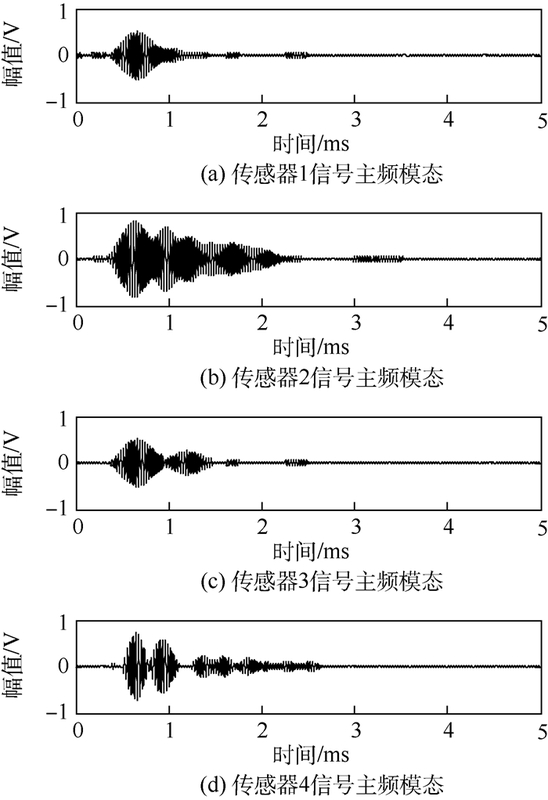 A new compound faults detection method for rolling bearings based on empirical wavelet transform and chaotic oscillator[J]. Chaos, Solitons & Fractals, 2016, 89	: 8–19. 王秋生, 陈璐, 袁海文, 等. 基于经验小波变换的电晕电流降噪方法[J]. 电网技术, 2017, 41	(2): 670–676. KUMAR R, SAINI I. Empirical wavelet transform based ECG signal compression[J]. LETE Journal of Research, 2014, 60	(6): 423–431. WILSON K W, DARRELL T. Learning a precedence effect-like weighting function for the generalized cross-correlation framework[J]. IEEE Transactions on Audio Speech & Language Processing, 2006, 14	(6): 2156–2164.